Group fitness classes add variety to gym members’ fitness regimens. Most gyms have a wide variety of classes that offer excellent health benefits. With the amount of classes to choose from, it is not uncommon for people to get confused about which class best suits them. Here are four fitness classes you simply have to try. Boot camps are an increasingly popular fitness class. Boot camps improve strength, stamina, muscle definition, and body fat levels. These unique – and exhausting! – classes can burn up to 600 calories in a single session. They offer a host of other benefits to fitness enthusiasts because of their interval training methods. Interval training has been shown to accelerate fat loss in athletes. Try a bootcamp class this summer if you are interested in improving strength and muscle leanness while torching body fat. Keep in mind that these classes can vary greatly depending on the instructor. Look into a pay-as-you-go gym in order to sample different classes. Trying multiple boot camp classes will help you figure out which class structure is best for you. Yoga classes are another popular option. Yoga is a great practice that benefits people of all ages. Yoga comes in many forms and this is another good reason for you to use a pay-as-you-go gym to sample different classes. Do you like the simplicity and peace of Hatha Yoga? Or the dance-like movement of Vinyasa Yoga? Perhaps the intensity of a Hot Yoga session is right for you. Only one way to find out! Some of the benefits include strengthening your immune system, building strength, increasing flexibility, lowering blood sugar levels, improving mental health, and strengthening your inner organs. Yoga is a full body workout that goes at a number of different paces which, like boot camps, are dependent on the instructor of the class. Cycling is another intense but effective class. Cycling burns a lot of calories; a 200-pound person going at a moderate to intense pace can burn between 800-1200 calories in a one-hour class. Obviously, results may vary depending on a person’s size, gender, age, and weight. Cycling classes are a lot of fun and can be enjoyed by people of all ages. Cycling instructors, too, are crucial to your enjoyment of the class as they determine the training intervals and energy levels. 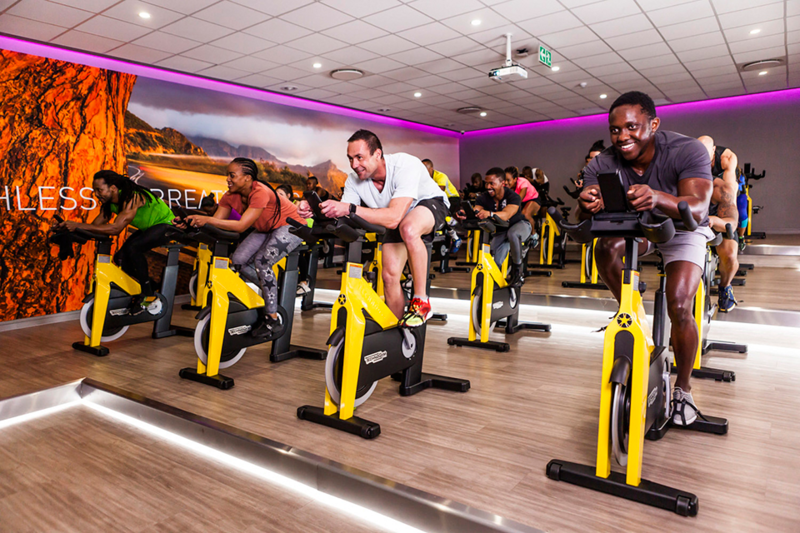 Cycling is done on a stationary bike; this helps improve endurance while burning calories and toning leg and core muscles. Muay Thai is another great workout. This popular martial art is similar to kickboxing. Both Muay Thai and kickboxing classes work the entire body. Many gym goers find these classes exciting because of the intensity level of the workout. Make no mistake, your body will be tested rigorously. 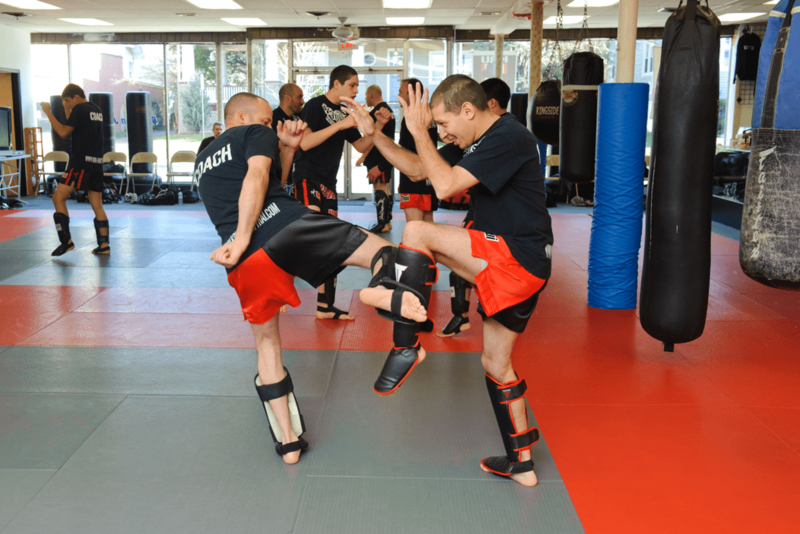 Class participants follow what the head trainer is doing, copying them through a variety of punching, kicking, dodging, and blocking patterns. These fitness classes have been proven to help advance people’s fitness levels to new heights. It’s important to shop around and try out different classes to see what you like. But remember: the only workout you shouldn’t be doing is none at all – so get exercising!